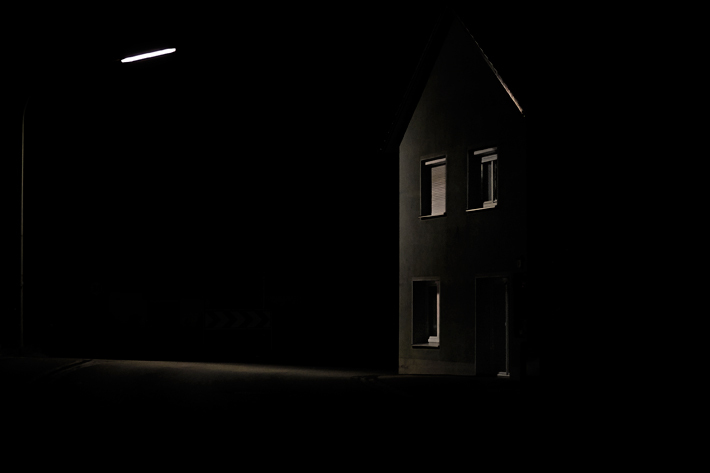 My series »A Summer Night in the Village« is concerned with village nightscapes. 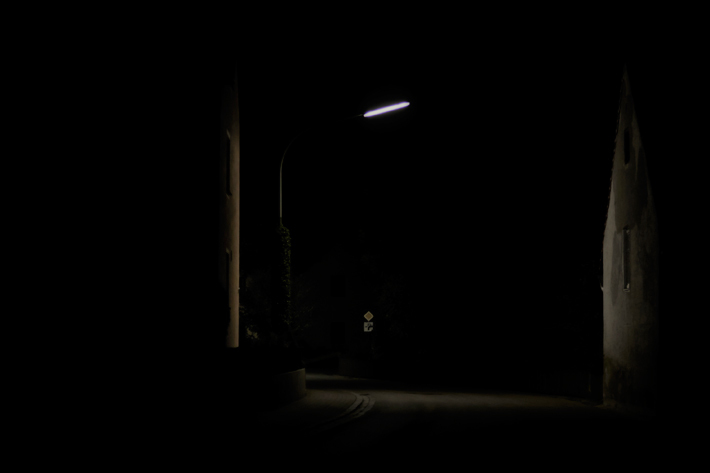 The project is about the transformation of the village environment at nighttime. 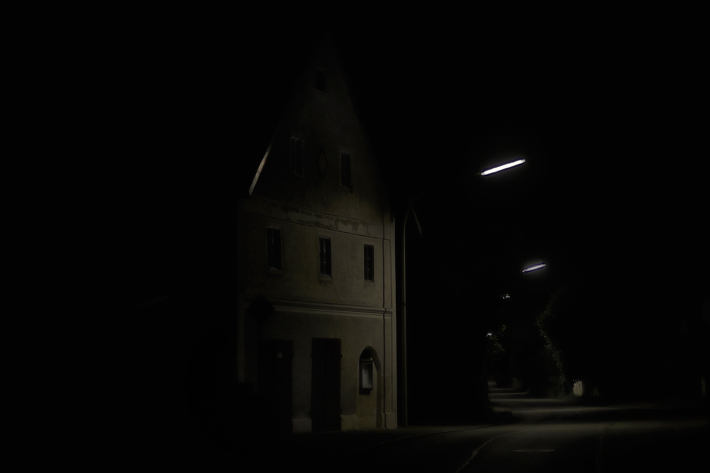 While the city plunges into a sea of lights at night, the village is barely lit by few street lights. Nightlife in the city is full of people and cars that populate the street. 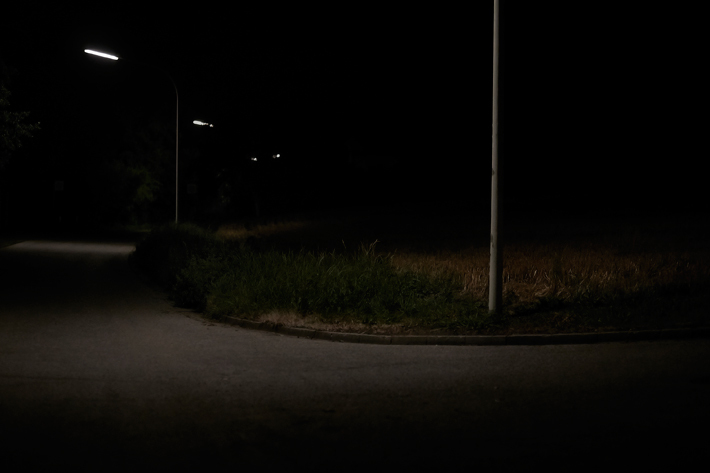 In the villages, the paths and streets are silent and deserted. There is no activity which deflects from the interplay of the pale light and the building environment. 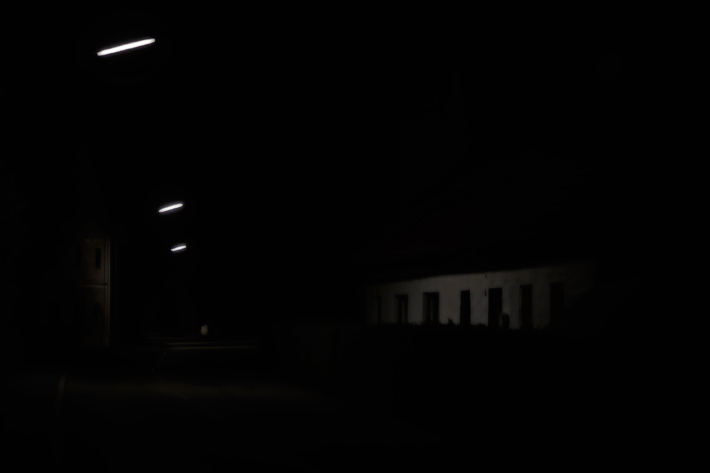 Suddenly the whole of the village ensemble is divided into individual spots of light. 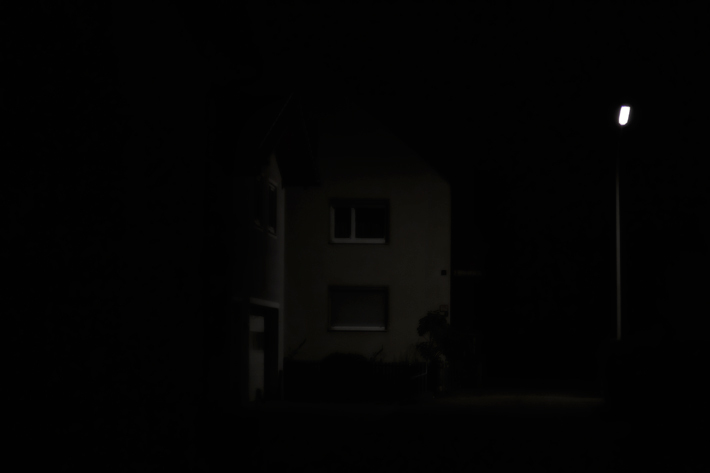 You walk through the village from light into darkness back to the light, only to be surrounded by complete darkness immediately. A strange atmosphere lies over the village. 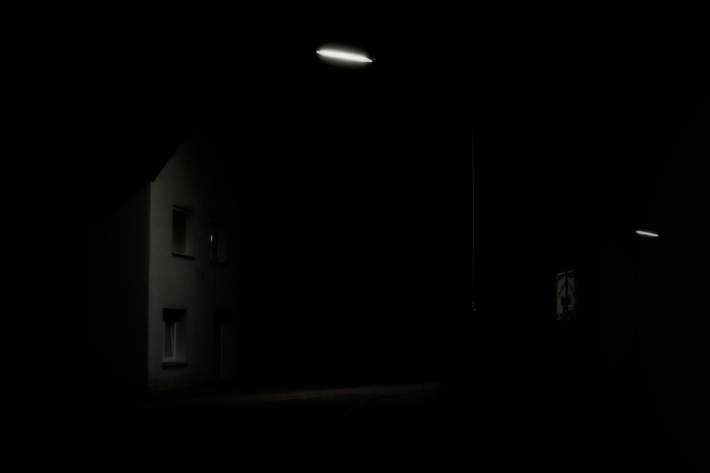 Some people interpret it as an atmosphere of abandonment and loneliness, some even do perceive it as menacing. For me, the mood has something magical.